The Arab League Secretary General Ahmed Aboul-Gheit has warned of the deteriorating financial situation in the Palestinian Authority following a dispute with Israel over payments to families of Palestinian prisoners in Israeli jails. Last month, Israel announced it would deduct five percent of the monthly revenues it transfers to the Palestinian Authority from taxes collected on imports to the West Bank and Gaza Strip. 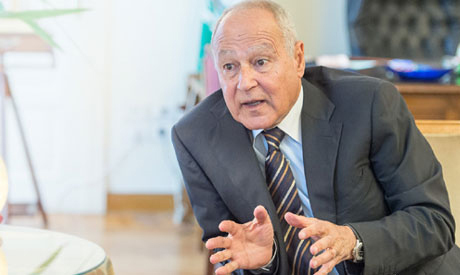 Aboul-Gheit made the remarks during his meeting with Palestinian Foreign Minister Riyad Al Maliki and Finance Minister Shukri Bishara several days ago, his spokesman Mahmoud Afifi said on Sunday. "The Israeli move constitutes a blatant violation of international law and Paris Convention, which is an integral part of the Oslo agreement that regulates relations between the Palestinians and Israelis", Aboul-Gheit said. The two ministers presented a detailed report on the economic hardships facing the Palestinian government, the spokesman noted. Aboul-Gheit further stressed the Arab countries' commitment to reinforcing resistance of the Palestinian people in face of the Israeli aggression.